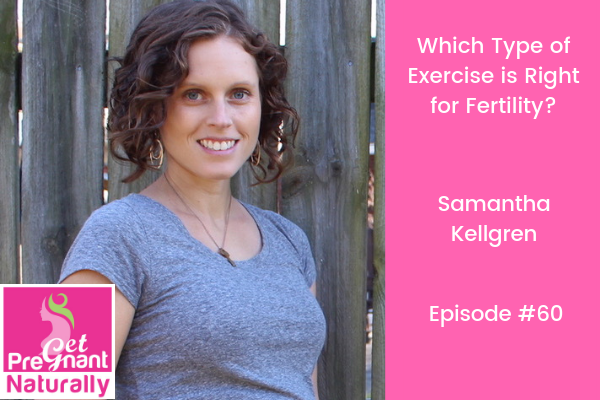 Which Type of Exercise is Right for Fertility? Today I’m welcoming Samantha Kellgren to the podcast! We’re digging into what is the best type of exercise for someone who is trying to get pregnant. Samantha is a certified holistic health coach specializing in women’s health! She helps highly fit, health driven women towards their goal of having a baby. She loves guiding women who want to keep their health and fitness a priority, but need to alter their habits to get their bodies ready to carry a healthy pregnancy. Samantha is a certified personal trainer through ACSM and got certified as a Health Coach in 2014 through ACE Fitness. After making holistic changes alongside IVF to conceive her son, she was inspired to go through the Integrative Women’s Health Institute’s Optimal Fertility program with the goal of supporting women with information and compassion so they feel confident and excited about their lifestyle changes. Well it depends. Because we’re all different. 1) The best type of exercise for fertility. What type of exercise should be avoided, what to do if you have an upcoming IUI/IVF..